The Board of Directors for Buckeye Police Association (BPA) has been diligently working to bring, not only top legal protection and coverage for our members but also to provide new benefits. 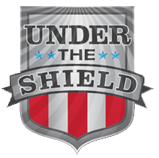 We are proud to announce our newest benefit, a partnership with Under the Shield Inc. at no cost to our membership for the initial contract year. This is the first program of its kind in the United States and has been in existence in Arizona since July 1, 2013 offering Mental Health Advocacy to law enforcement officers and their family members. These services will be provided to our membership by Susan Lewis Simons, M.S., B.C.E.T.S., D.A.A.E.T.S., the President and Founder of Under the Shield, Inc. Under the Shield will provide 24/7 response to any member of the Association who is involved in ANY critical incident that could lead to a fitness for duty assessment as well as any other critical incidents. Response will be as immediate as possible, once notified and will be to the scene when possible. If not, then initial contact will be made via Skype, Face time or cell phone with a follow up meeting as soon as possible. With this contract all members and spouses/significant others will also be provided a 24/7 contact number to call for Stress Coaching which will include relationship issues, and any other issues that could arise. All services will be provided with the utmost confidentiality. For purposes of justification of the contract, the number of calls and call outs will be maintained but no details or names will be kept. Notes will only be taken and maintained if it is determined by the Association’s Legal Counsel that notes will be beneficial to the member and only then with the members’ permission. Mental health is as important as physical health, and none of us should deny this fact. Below is a card with all the 24/7 contact information for services. Please share this information with your families. You do not have to go through the Association for assistance. Call the 800 number and you will be directly connected to Susan. This call will be going through a switchboard to her cell phone so she will not even see the number you are calling from. Should you get voicemail, feel free to leave your contact information OR you may simply call her back. She is the ONLY person who picks up voicemail, email etc. Please visit her website: www.undertheshield.org In the upcoming weeks, there will be a member’s only page where Susan will post Stress Tips etc. We will send you log in information ASAP. Susan will also be attending briefings and Association meetings. Susan Lewis Simons, M.S., B.C.E.T.S., D.A.A.E.T.S.